Marya Bashir was born 1970 in Afghanistan and began her law career in 1990 with a 4-year course at Kabul University. After an additional year of prosecutorial training, she joined the Prosecutor's Office as a criminal investigator. After getting married, she moved to her husband's home-town of Herat, where she continued her work, until the Taliban took power.She joined the Afghan civil service almost 15 years ago. She has lived through the Taliban rule and an assassination attempt (2007). Before Bashir's appointment in September 2006, no Afghan Province had ever had a female chief prosecutor. Bashir had won fame as an assistant prosecutor for her investigation into the death of the young poet Nadia Anjuman. She had charged Anjuman's husband with murder after he admitted beating her. Though he confessed only to assault—and Anjuman's death was later classified as suicide—the mere attempt at prosecution was viewed as bold, and Bashir parlayed that into an appointment as chief prosecutor. Her promotion was extolled, particularly by the Bush administration and its allies, as a symbol of a reborn westernizing Afghanistan, where women could aspire to positions they never dared imagine under Taliban rule. 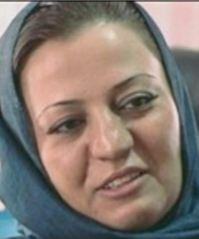 Maria Bashir, the prosecutor general for western Herat province, was honoured at a ceremony in the United States to mark international women's day on March 8, 2011. Maria Bashir, the former Chief Persecutor General of Herat Province received an award ‘Jewels of Muslim Worlds Award’ during the sixth Muslim World Biz 2015 in Malaysia on Tuesday, Oct 27, 2015.